Angra, or Angra do Heroísmo is a city of some 21.300 people and municipality in Terceira Island in the Portuguese autonomous region of the Azores. The municipality has a population of 35,581 and an area of 239.0 km² and is the largest and most important city in Terceira Island in the Azores. 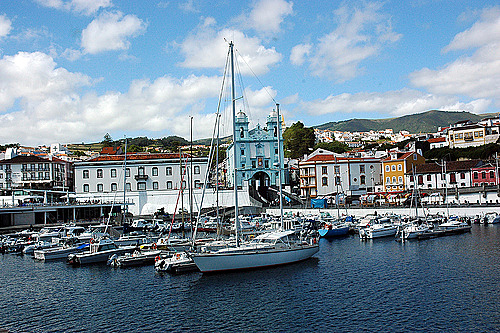 As a harbor city, Angra do Heroísmo lies in an open bay on the south coast of the island. Angra do Heroísmo was once the capital of the Azores until it was replaced in 1832 by Ponta Delgada. However, the city still retains its status as the cultural capital of the Azores, so rich in architectural and cultural heritage that it was classified as a world heritage site by UNESCO in 1983. Angra do Heroísmo was first settled in 1474 and quickly became an important commercial trading center thanks to its natural harbor. It was granted city status in 1534 and served as a port of call in the ensuing centuries for ships sailing to and from the Americas, Africa, and India. Angra do Heroísmo enjoyed great wealth during these years, especially in the early and mid 16th century when much of the city’s renaissance buildings were constructed. 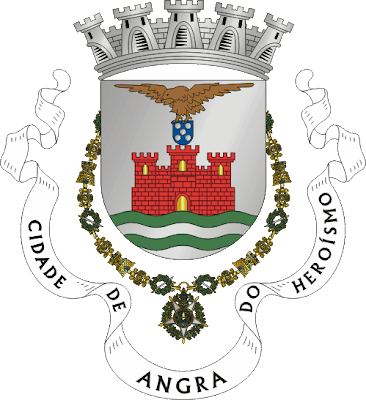 In the late 16th centuries, Angra do Heroísmo suffered Spanish occupation and was sacked a number of times. The city was retaken by the Portuguese in 1640 after the restoration of Portugal’s independence. In 1832, Angra do Heroísmo lost its status as capital to Ponta Delgada and its role and importance as an Atlantic port has declined substantially since then. 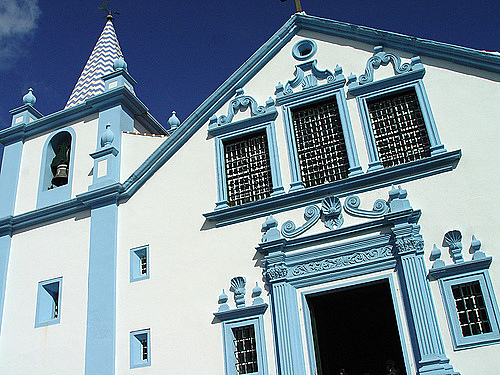 Much of Angra’s riches are found in its architectural, historical, and cultural heritage sites. Its streets exhibit one of the finest examples of Renaissance city planning rules. The baroque splendor of its churches, castles, and palaces shines brighter than the other Azores’ cities; the 17th century signature artistically-carved stones and wooden and iron balconies are found in many of Angra’s buildings. While a 1980 earthquake damaged some of the city’s buildings, restoration efforts have restored the important structures. Several buildings like churches, palaces, manors, and castles are of interest. Renaissance churches like the Sé Cathedral, an impressive 16th century church employing a 15th century gothic style, the 16th century “Nossa Senhora da Conceição”, the 17th century “São Gonçalo”, and the 18th century “Misericórdia” are all marvelous constructions. The “Nossa Senhora da Guia” is a church worth visiting if only for its historical significance; it is the burial grounds of Paulo da Gama, Vasco da Gama’s brother, who was buried there after dying on his return from his first journey to India in 1499. There are also a number of palaces, manors, and castles. The Capitães-Generais Palace was the residence of the Captain-Generals of the Azores and still remains intact today. The Solar de Nossa Senhora dos Remédios or da Família Canto is the old manor residence of the Navy Purveyor during the 16th and 17th centuries. Other manors include the “Corte-Reais”, “dos Sieuve de Menezes”, “Bettancourts”, and “da Madre de Deus”. Having hosted its fair share of battles, Angra is also home to a number of old forts like the Italian-like 16th century São Sebastião Fort, which defends Angra’s port on the east side. The São João Baptista do Monte Brasil Fort is definitely worth a visit, as it was built during the Spanish era and served as the prison for the famous “Gungunhana” (the former King of Gaza in the late 19th century) and “Dom Afonso VI”. The Alto da Memória is also a landmark that is a must-see; it is Angra do Heroísmo’s iconic monument, an obelisk built to commemorate Dom Pedro IV (the former Emperor of Brazil and King of Portugal). Besides its myriad landmarks, Angra do Heroísmo is also a great place to catch the well-known theatre productions of “Alpendre” and “Outro Teatro”, both highly regarded in Europe. The city hosts large theatre festivals every year as well, like the Carnival Dances. For a break from the sightseeing, the Monte Brasil peninsula offers a recreational area with breathtaking, scenic views of the coast. Angra do Heroísmo’s Municipal Gardens are not far from Monte Brasil either.